Complete the Como Te Llama achievement by finding and petting all 5 llamas in Shadow of the Tomb Raider. In Shadow of the Tomb Raider, one fun little achievement you can complete is “Como Te Llama” which requires you to find and pet 5 llamas. 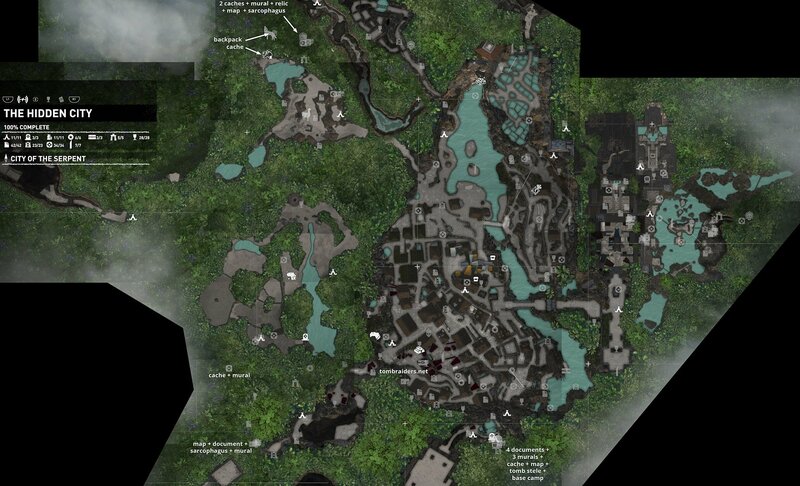 These llamas can be found in different locations, though all of these llamas are contained within The Hidden City. Having a hard time finding a llama or two? No worries, we’ve got you covered! Below, we’ve put together a quick guide on where to find all 5 llamas and complete the Como Te Llama achievement in Shadow of the Tomb Raider. All 5 llamas can be found in The Hidden City area of Shadow of the Tomb Raider. To complete the Como Te Llama achievement in Shadow of the Tomb Raider, you’ll need to find and pet 5 llamas, all located within The Hidden City. You’ll be able to explore The Hidden City after you escape from the Trinity agents in Shadow of the Tomb Raider. Note that when you find a llama, you’ll need to interact with it by pressing either Y or Triangle. In doing so, you’ll pet the llama and “collect” them towards your Como Te Llama progress. Having a hard time finding these llamas? Below, we’ve listed the locations of all 5 llamas in Shadow of the Tomb Raider. Llama #1: The first llama can be found near the entrance to the Hidden City in Shadow of the Tomb Raider. When entering The Hidden City, turn right and you’ll find the llama beside Unuratu’s House. Llama #2: The second llama can be found towards the south of Unuratu’s House in Shadow of the Tomb Raider. From the house, head south past the worshippers and down a series of stone steps. On your left, you’ll spot the llama on a grassy landing. Llama #3: The third llama is located in the middle of The Hidden City. Cross the bridge, enter the marketplace, and you’ll be able to find the third llama chilling in a pen. Llama #4: The fourth llama can be found near the third llama in The Hidden City. To spot it, you’ll want to look to your right. There’s a set of stone steps you can climb, and in doing so, you’ll be able to find the fourth llama in Shadow of the Tomb Raider. Llama #5: The fifth llama is located south of the marketplace where you find the third and fourth llama. 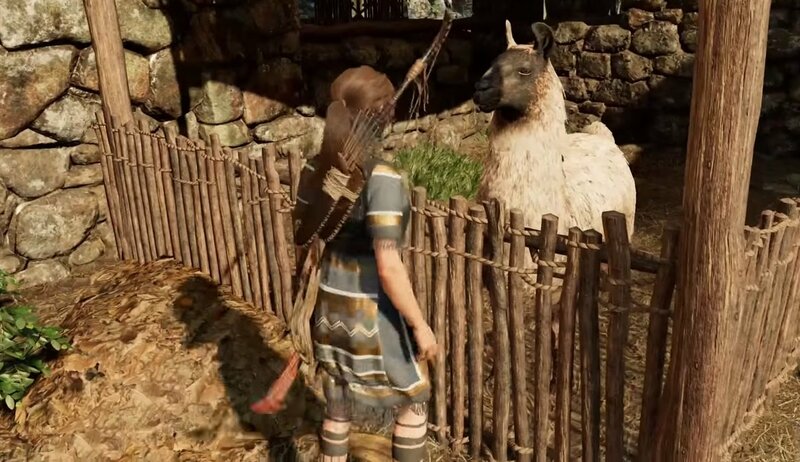 Near the house with clothes drying outside, there’s another llama pen, and in this pen, is the fifth llama in Shadow of the Tomb Raider. Several llamas can be found in pens throughout The Hidden City in Shadow of the Tomb Raider. By finding and petting all 5 llamas, you’ll be able to unlock the Como Te Llama achievement in Shadow of the Tomb Raider. It’s a quick little side quest, and one that can be a lot of fun, especially if you love llamas. Did you have any trouble finding these llamas? How long did it take you to complete the Como Te Llama achievement? Let us know down in the comments below! For more on Shadow of the Tomb Raider, be sure to check out some of our previous guides including how to heal in Shadow of the Tomb Raider, how to fast travel in Shadow of the Tomb Raider, and how to change Lara’s outfit in Shadow of the Tomb Raider. By reading through this guide, you should now know where to find all 5 llamas needed to complete the Como Te Llama achievement in Shadow of the Tomb Raider.